The natural aging process can be hastened by outside factors such as sun exposure, smoking, and repeated facial muscle expressions. 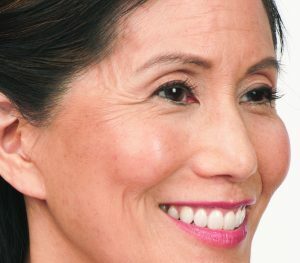 At first, lines and wrinkles can be seen only with active facial expressions (frowning, laughing, smiling), but over time, these lines and wrinkles become permanent and visible at rest. At the same time, facial volume shrinkage occurs with a slow loss of facial bones, underlying subcutaneous tissue, and fat pads. 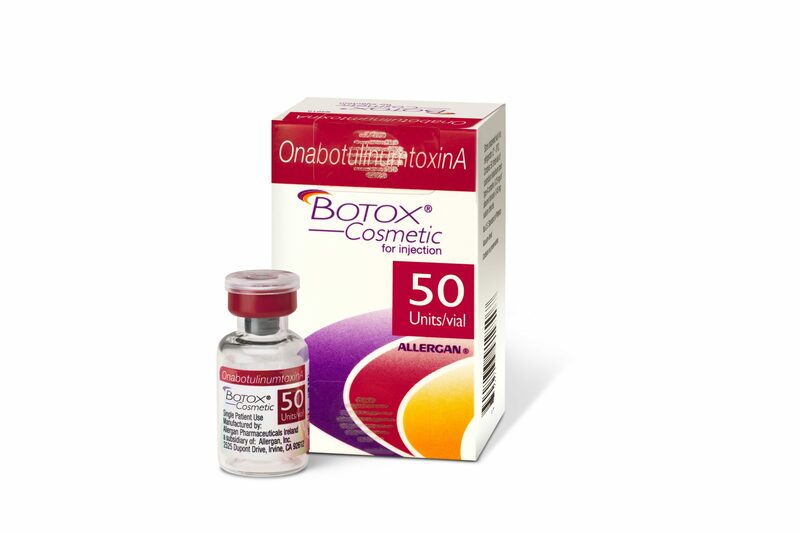 The contour of the face changes from high cheeks, tight skin, and a small chin to lax skin, flattened cheeks, and skin folds along the chin area (jowls)…….. Neurotoxins are used to smooth wrinkles while fillers are used to improve volume loss. Botulinum toxin is a neurotoxin protein that when injected in small quantities into target muscles results in the temporary reduction of muscle contraction. 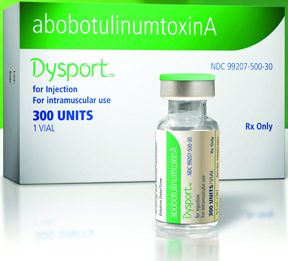 Injecting specific facial muscles with botulinum toxin temporarily reduces muscle activity in that area. 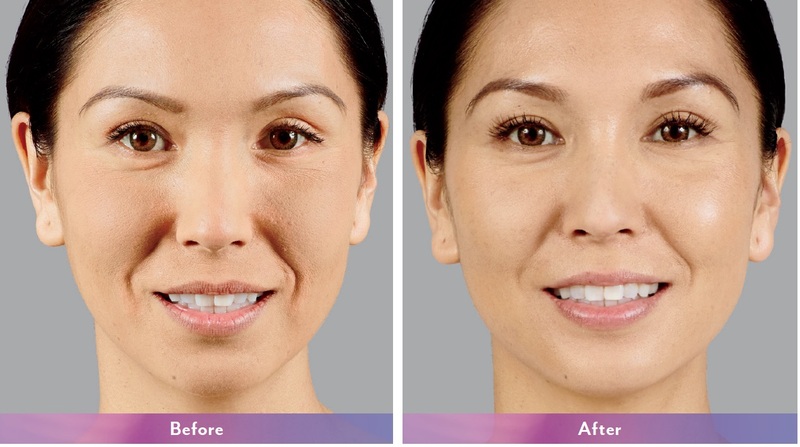 The result is a visible smoothing of wrinkles and lines caused by repeated facial muscle expressions. treats moderate to severe frown lines. ask us about Brilliant Distinction Points. ask us about Aspire Galderma Rewards. Depending on treatment area, 10-30 minutes. In some cases, early results as soon as 48 hours! Full results typically seen in 2 weeks. Depending on your metabolism, 2-4 months. Do I need maintenance treatments? YES. The results are temporary. Can I use it to prevent wrinkles? YES. 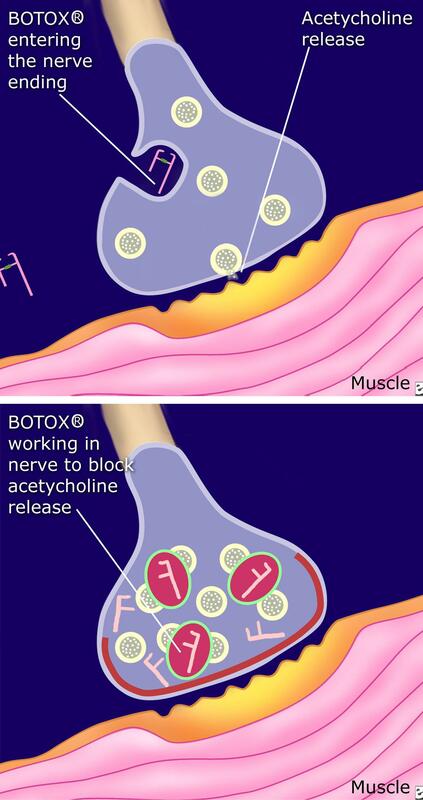 More young individuals are using neurotoxins to prevent lines and wrinkles from ever forming! In the hands of a trained professional, YES! As with any procedure, complications can occur. Patients can minimize their risks by following the pre- and post-procedural protocols. YES! Please call or email us to schedule your free consultation. 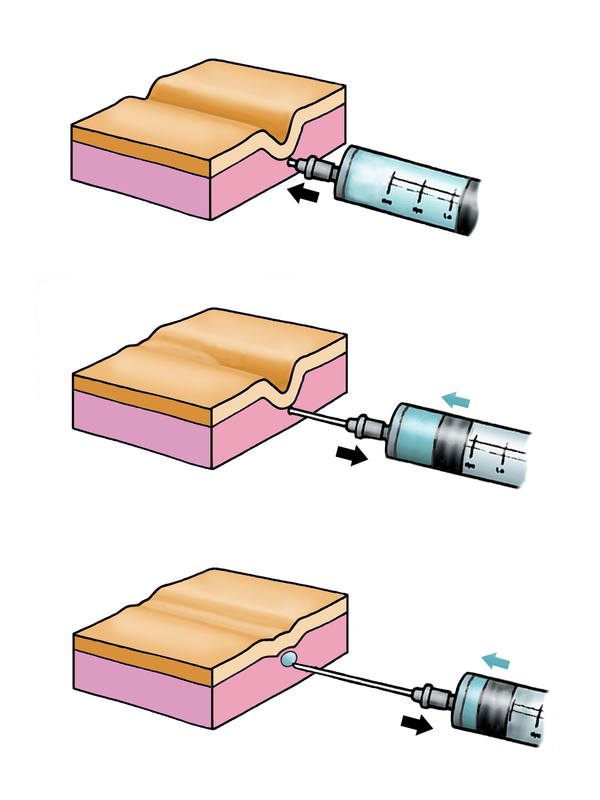 Soft tissue or dermal fillers are injectable, purified substances that can be used to fill in volume loss either in the dermis or deeper tissue layers. 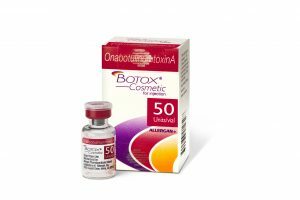 There are many types of fillers, all formulated to act like your body’s own naturally produced hyaluronic acid and fat pads. 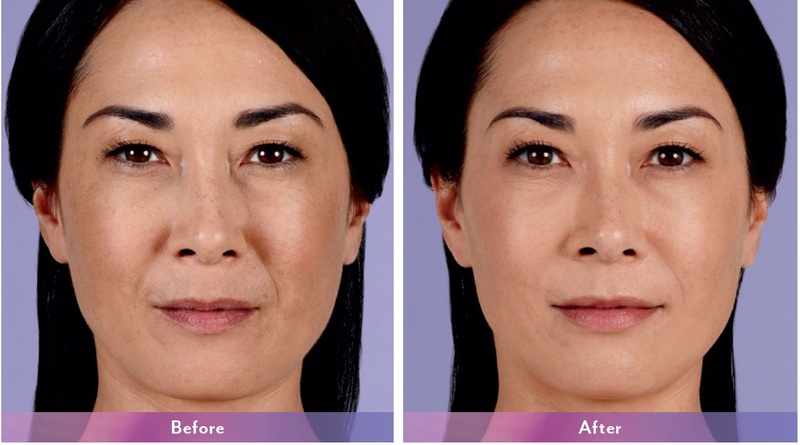 The result is visible correction of moderate to severe facial wrinkles and folds due to volume loss. adds volume to a different area of the face to lift cheeks, smooth parentheses lines, or plump the lips. The results are natural-looking and long-lasting. 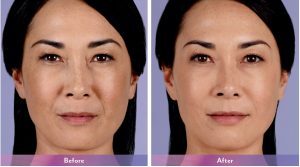 provides natural-looking results by smoothing away facial wrinkles and folds, providing subtle lip enhancement and smoothing the lines around them, and adding lift and volume to the cheeks. 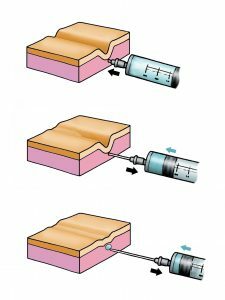 Depending on treatment area, 10-30 minutes, however, the area is typically pre-treated for 30 min with an anesthetic for your comfort. Depending on your metabolism, 6-12 months. Yes. Although most fillers are temporary and maintenance is required, even permanent fillers, may have surrounding volume loss as we continue to age. We have an extensive selection of treatments. We offer various clinical solutions to fit your needs.